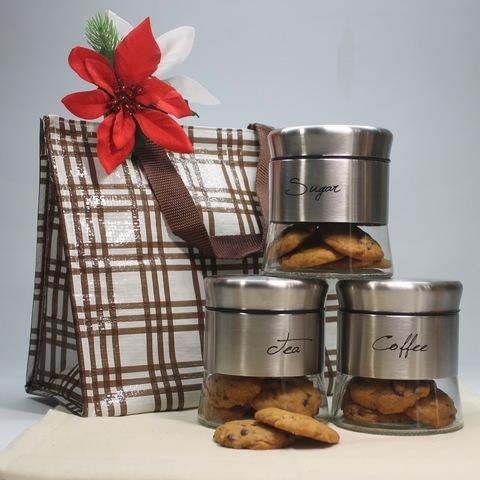 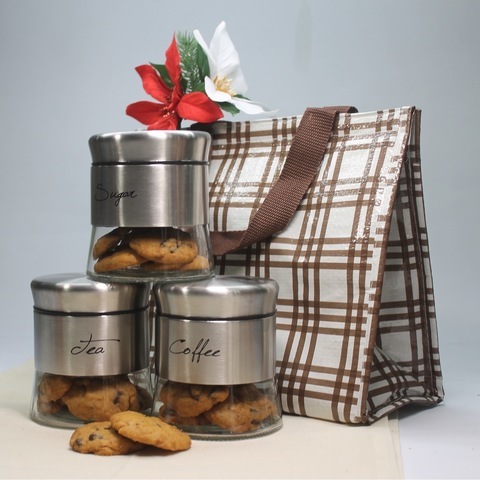 Coffee, Sugar and Tea jars filled with cookies, packed in a tote lunch bag. Choice of cookies Chocolate Chips or Coconut Crispy. 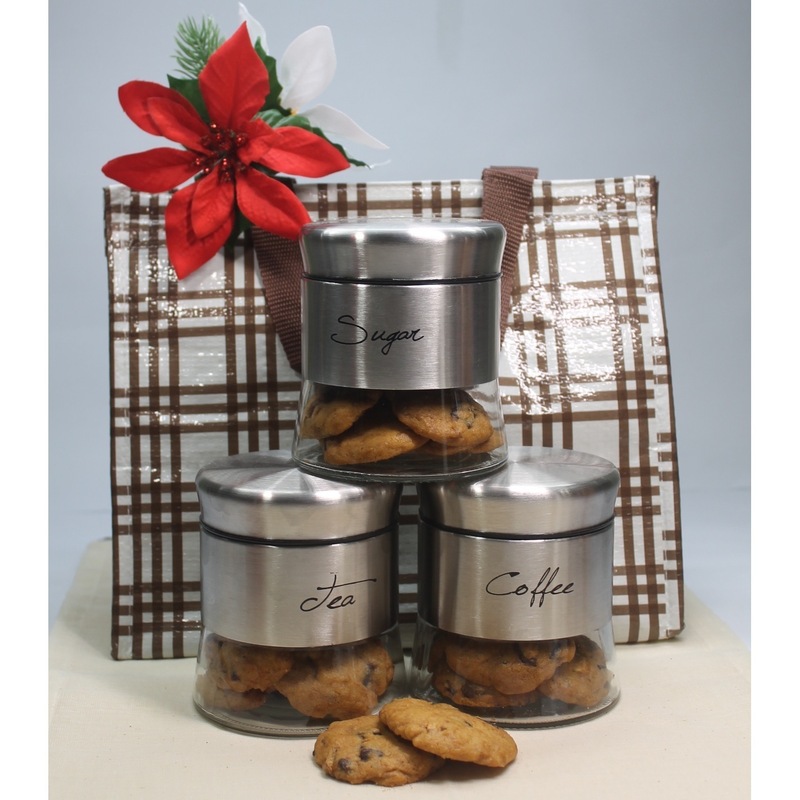 Approximately 120 gm per jar.